The Fanciest of Pants. Todos Santos Cuchumatán, Guatemala. 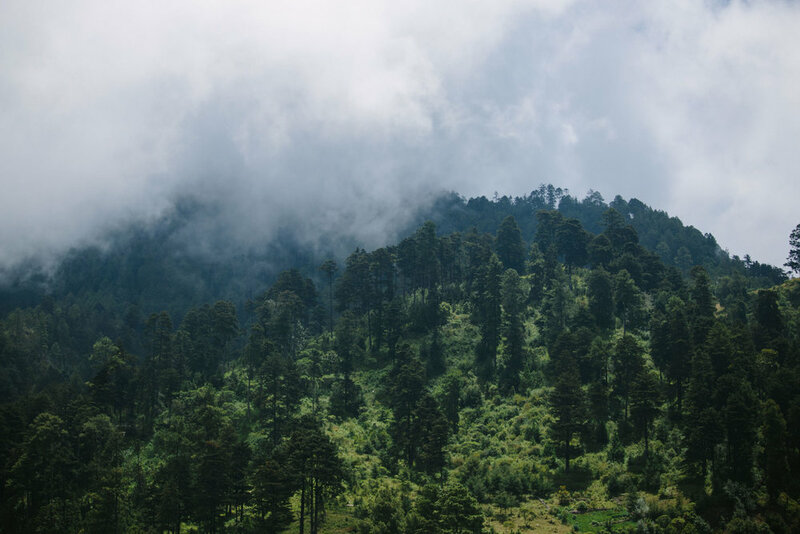 We took it as a good sign that, after another beautiful drive through the mountains of northern Guatemala, a rainbow seemed to end directly over our destination, the town of Todos Santos Cuchumatán. 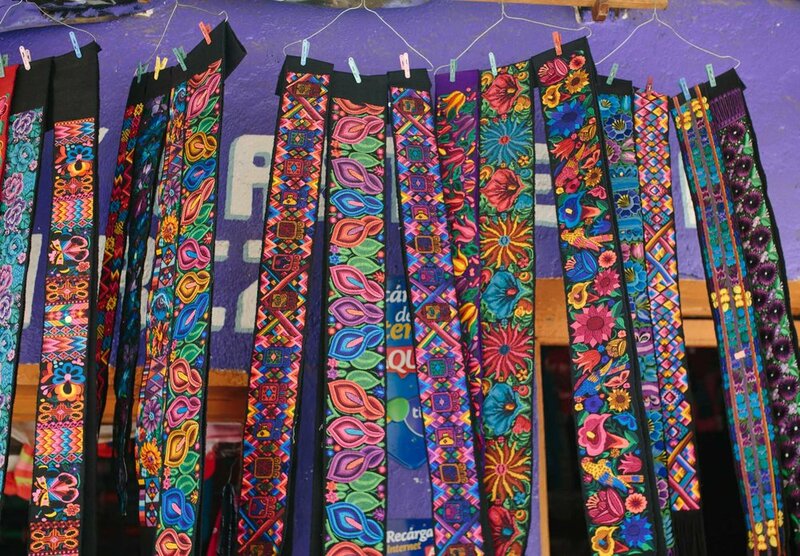 For weeks I'd been incredibly excited to visit this town that sits in a valley surrounded by foggy, towering mountains where the temperature is on the verge of chilly; to see first hand the traditional Mayan clothing, particularly the red and white striped pants, brightly embroidered shirts, and straw hats that are worn and tailored by the men. We parked beside Benjy in a grassy lot owned by a town butcher, where he lets the occasional visiting overlander camp for a small fee. 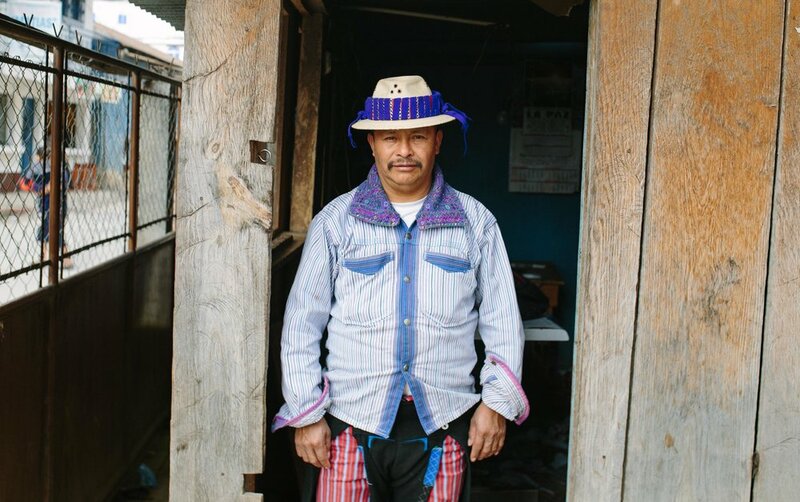 Like so many Guatemalans we've met, he and his family were incredibly friendly. Every night his son came over and shared a beer with us. Somehow, with our limited Spanish, we manage to discuss religion, immigration policies, Pete's smoking habit (he seemed very concerned about his health), and music (turns out his favorite band is Metallica). We shared the space with a few chickens, a turkey, and two friendly pigs who liked to have their heads scratched. On our second morning, we heard the grisly death of the larger pig, who was butchered in the small shed a few meters from our camper. It was incredibly hard for me to hear, but as a meat-eater it was something I felt I had to listen to. During our three night stay we didn't see any other tourists in town. The people and streets were a beautiful clash of colors, and every other store seemed to be a tailor shop, where men sat at sewing machines surrounded by bundles of fabric. Benjy trying out out the local style. Pete trying horchata, a drink that in Latin American is made of rice, vanilla and cinnamon. It was so cool to see the younger generation still proudly wearing the traditional clothing, but having it tailored and accesorized with the current styles. 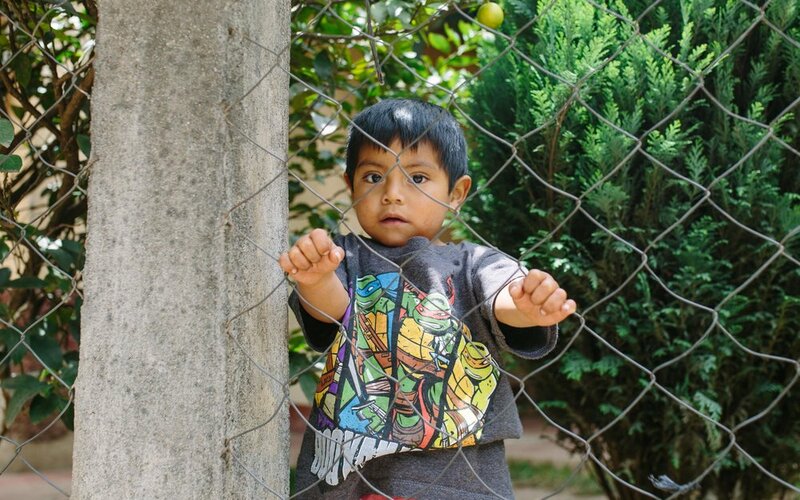 We'd heard that for various reasons, including poverty and unemployment, that alcoholism is a problem in parts of Guatemala, and for the first time we noticed it. By mid morning we saw several staggering or passed-out men. One friendly, but slightly inebriated, fellow approached us and asked us in english where we are from. He was probably in his late twenties, and told us that he just got back from working in the U.S. for two years. We'd read that a large population of the men from this particular region travel to the U.S to work for short periods and then return, having monetarily bettered their lives and the lives of their families, to start businesses or build homes. Not for the first time on this trip, it made us ponder and discuss why we're so lucky to be from a country and socioeconomic class that not only allows us to travel the way we currently do, but also doesn't require us to leave our country and loved ones to work insanely long work days at back-breaking jobs in a place where many wouldn't value or want us, just to make better lives for our loved ones. Proud of their sacrifice and successful journey, many people paint some version of the American flag on their store or home. We don't often take photos of people on this trip. On the one hand, the people we meet are a huge part of our experience, but on the other, we don’t want to be disrespectful or make someone feel uncomfortable. However, the beautiful clothing here was too much to resist, so I practiced asking Pete and Benjy over and over again, in Spanish, if I could take their photo. 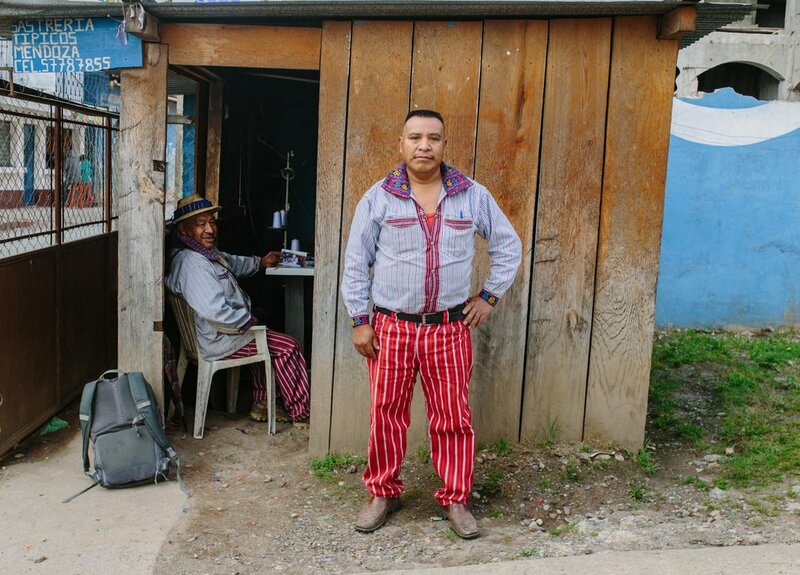 Because I am incredibly timid about speaking Spanish to an actual Spanish speaking person, it took me two days to say, “¿Puedo tomar su foto, por favor?” to Mendoza, a friendly tailor at the end of our drive way. Mendoza happily complied, but with one stipulation; I had to print him off a copy. I took several, and after visiting a print shop, brought him back two of my favorites. His only complaint was that I didn’t get his whole outfit from head to toe. So I took more and I did this exchange with one of his friends, and our camp host. They were all smiles until I got ready to snap their photo, and then their expressions turned to one of stoic pride. As we were driving out of town, I saw the photos hanging inside Mendoza's shop, so he must have been happy with the final product. 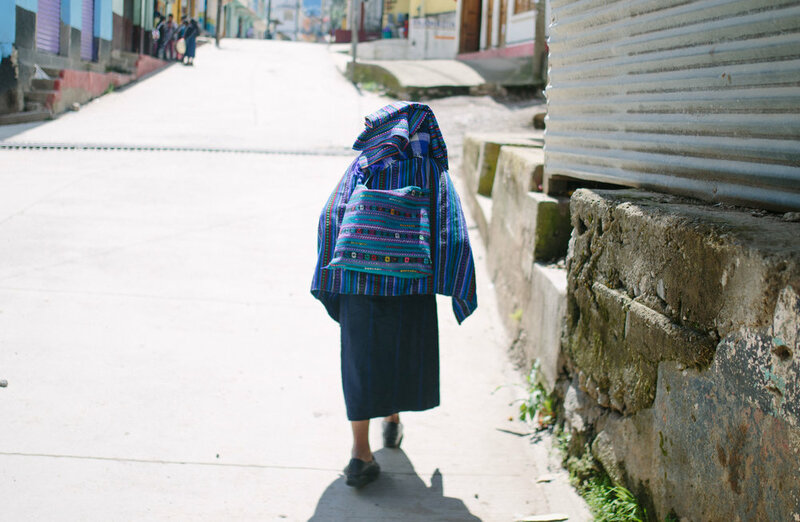 I left feeling completely enamored with this Guatemalan town and it's beautiful people.